Technology lays the foundation for your interactive marketing activities. Exactly what you need depends on your specific business goals, your industry and your competition. We make sure all the pieces are aligned and working toward your goals. You want your message to get through to your audience and to make a positive impression. We help you do that! 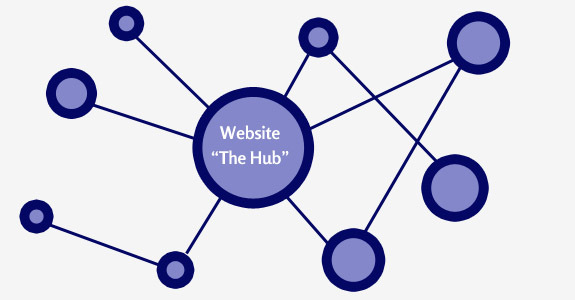 A website, if you have one, will serve as the hub of your interactive marketing effort. Websites require ongoing attention to achieve the best results for a business. We provide that extra attention, whether that be cleaning up the design, adding new content, adding a form for lead generation, or upgrading it to keep it secure. Visual design makes your interactive marketing look good. Content creation covers many types of content, including text copy, images and video. Done well, your content creates value for current and prospective customers who will look to you as a trusted resource. Carefully crafted content helps with traffic and search rankings, important factors for 21st century marketing. Whether you need a content strategy or need to create content, we make it happen! Search engines are fickle creatures, but they can be tamed, to a point. Google, in particular, adjusts its ranking factors frequently. Additionally, increased competition continually nips at your heels in the search results. It’s good to startby making sure your website is optimized for the type of traffic you want search engines to deliver. From there, it’s an ongoing effort to generate inbound traffic to your website. Email marketing is still one of the most effective means of communicating with your audience. Once you build an opt-in email list, you’re most likely sending to people who want to hear what you have to say. We’ll build your list and design a stellar email template, so your message is clear—a message your customers want to act on. Then, you can monitor the results of your email campaigns by tracking views and clicks, making any necessary adjustments along the way based on how your audience responds. Today, you have the ability to publish to a virtual audience without the need to go through traditional gatekeepers like television and radio networks. Because everyone has that capability, it is vitally important that you remain focused on building the right audience, having a consistent publishing schedule, and knowing what you want to say, and why you want to say it. Whether you need assistance with your social media strategy or want to outsource your effort, we can help.